"I was a managing director at a telecommunications company supervising a lot of people, but there would be days when I’d put in my time lying on the floor in my office--to take pressure off my spine. At first colleagues would walk in and do a double-take, but gradually they become accustomed to my having to stretch out the floor while I worked. This had become my new normal." Another quote offers a glimpse of the happy hereafter, in particular, the adventurous life this man has been leading since we concluded our regularly scheduled, one-on-one work together, in 2008. 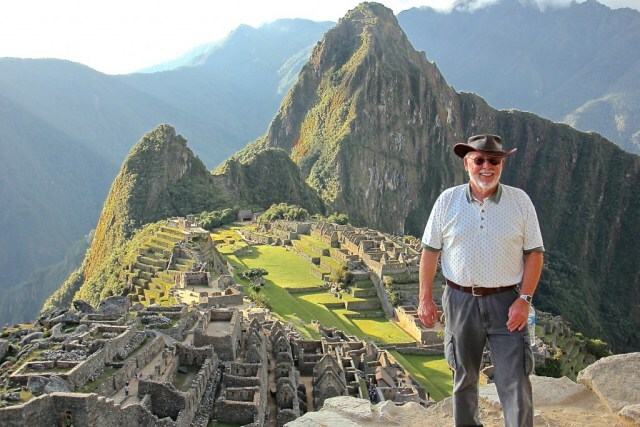 "My wife and I just came back from a trip to Machu Picchu and the Galapagos. All the climbing of the Inca ruins and the walking over the lava fields of the islands went so very smoothly I never had even one issue of back trouble. Believe me, I could not be happier." The remarkable fellow is Mike King of San Ramon, California, and I was thrilled when he agreed to share his dramatic journey into and out of debilitating back pain. What follows is Mike's "travelogue." "Esther, I never thought I would be able to be doing something like this. Thank you, thank you, thank you." "I'm 75 now, and if I look at the kinds of things I did in my life that contributed to what turned out to be debilitating back pain, it includes putting myself through college by working in a truck service station, working on very large and very heavy tires, using pneumatic wrenches to take them off and put them on. It was physically awkward and very taxing work. I also played football in high school and college and was involved in several car accidents. These were among the contributing factors. "The first signs of trouble appeared in 1974. Especially when I did yard work or any other manual labor I would be very achey; I would really feel it. But it wasn't a big deal back then, because I could get through these episodes by popping anti-inflammatories and easing up on the manual labor. The pain wasn't yet chronic. "But by the late 1980s my back problems intensified. The pain would last longer, and it would be more restrictive in terms of what I could do. For example: I’ve always been someone who’s been in the gym; I enjoyed working out, and I ran. But when back pain began to catch up with me, I had to quit running and cut back on working out. My life began to change." "In the 1990s I was doing a lot of international business travel, which meant frequent long flights and hotels with strange beds. This was at a time when I was becoming severely physically limited--when not only was something like yard work out of the question, but walking had become a chore. "Yet another issue was pain-related sleep deprivation, which of course exacerbates the difficulties of any challenging situation. And when my back problem became chronic--when I saw how much of my lifestyle I was having to let go--I became terribly discouraged. Feeling uncomfortable after a workout is one thing, but when disabling pain comes at you all at once it's pretty hard to take. 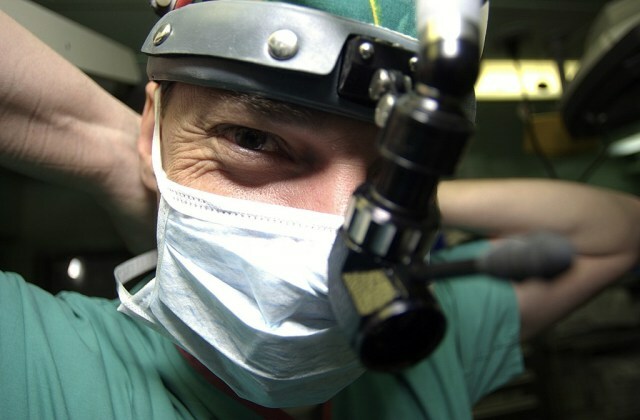 So, out of desperation, in June 1998, I saw my first neurosurgeon." "Long story short, the neurosurgeon ran a number of tests and did a number of scans and diagnosed extensive sciatica due primarily to damaged L4 and L5 discs impinging upon nerves radiating out from my spinal cord. And his recommendation was surgery on my lumbar spine. 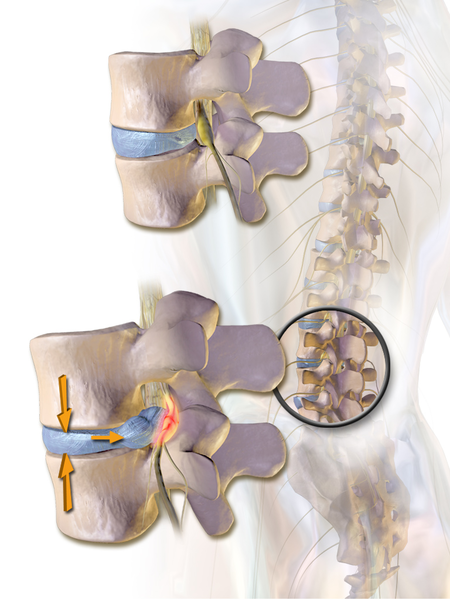 Contrast the herniated lumbar disc impinging upon the spinal nerve, at bottom, with the healthy disc, at top. "By this time I was in serious pain and walking with a cane, and in desperation I agreed to have surgery--a laminectomy and a discectomy, which basically involve the carving out of some bone to get to the damaged discs that were protruding out and pressing in on spinal nerve roots." "When I came out of the first surgery--even after a longer than normal period of recovery--it became apparent that I was in worse shape than when I went in. It's not like I was looking for a miracle, but I was expecting some relief because the neurosurgeon had painted a rosy scenario of a positive outcome. Instead, the surgery was a failure." "In desperation, I agreed to have surgery." "So we quickly moved on, but of course by that time the damage had been done." "Nine months later, in April 1999, I had a second back surgery, basically to clean up the results of the first failed surgery. And though I came out of that with the usual post-back surgery kinds of issues, I felt sufficiently well to travel on business to Hungary just one month later. And I got eight good years out of that second procedure, because it was done well and because I was very careful about what I did and got better at reading the warning signs. Once again, I was able to travel, work out in the gym, enjoy my life. So that second surgery turned out to be a really good thing--for a while." "In late 2006, early 2007, my back pain returned, but this time I now had foot drop, a condition that can occur when herniated spinal discs in the lower back impinge on spinal nerve roots. Because foot drop made it hard for me to walk and keep my balance, it prompted a visit to a third neurosurgeon, who--as he showed me X-rays and MRIs--identified a number of discs causing my problems, specifically: L3-L4, L4-L5, and L5-S1. But when he said, 'You're looking at major spinal fusion,' I said to myself, 'I’m not going to have a third back surgery. I'm not going to put my body through this. I've got to find another way." 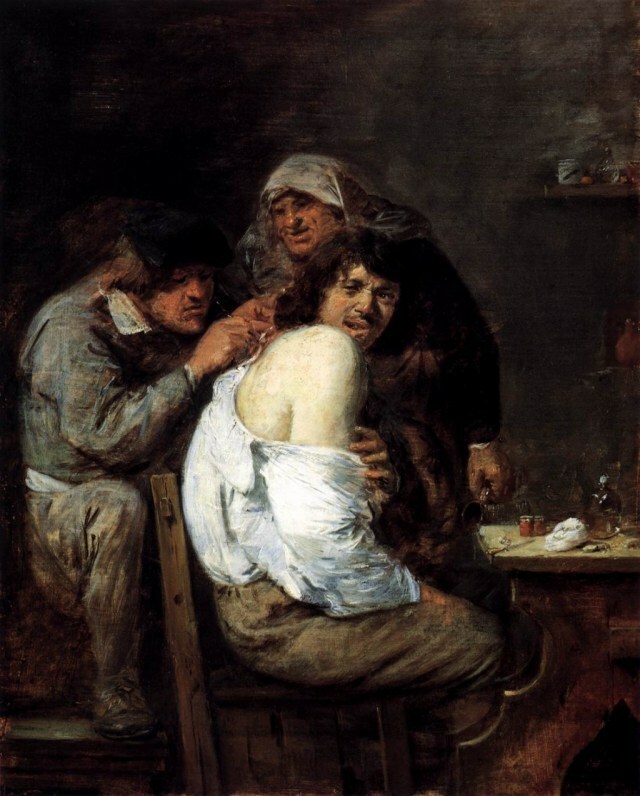 "Adriaen Brouwer's 'The Back Operation,' 1636, captures only some of the pain of surgical interventions." "To say I became preoccupied with a need to feel better is an understatement, because when you're in pain and desperate for relief, you will find all sorts of people who claim they can heal you. For me, the experience was like going through a smorgasbord line, trying countless alternatives, none of which worked and some of which actually hurt me. And I began to view my quest as a sort of impossible dream to find a way to take care of my problem, without submitting to spinal fusion. 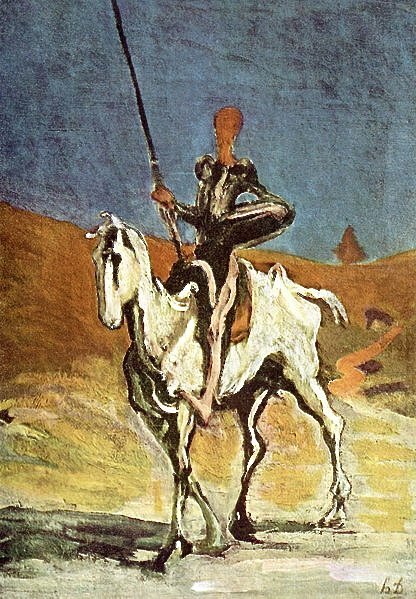 "I’m not a student of Cervantes, but as I got deeper into my quest the classic tale of Don Quixote began to resonate. As you no doubt know, the story centers on an idealistic but confused man's wanderings to do good works. An indomitable inner will and extraordinary determination propelled him on his journey, despite real and imagined obstacles he encountered at every turn. And it occurred to me that people who suffer from debilitating back pain follow a similar path. While perhaps not as delusional as Don Quixote, we’re forever searching the Internet, gathering the latest information on surgical and nonsurgical approaches; we’re able to recite the definition of chronic pain; we try heat and then we try cold; we try pain blockers, anti-inflammatories, and muscle-spasm medications. We visit neurosurgeons, orthopedic surgeons, chiropractors, naturopaths, homeopaths--every imaginable alternative practitioner. We seek second opinions and third opinions, and then, because we're still hurting, we seek more. "Don Quixote's indomitable spirit inspired me." "I put a lot of miles on my car and paid a lot of fees, in search of a solution, but my quest was really wearing on me because I was beginning to believe there wasn’tan answer. And as the prospect of fusion surgery loomed ever larger, and as I could see life as I once knew it slipping away from me, I grew more concerned. Until one night, I plucked up a copy of Costco's magazine." "Deep inside the magazine, I found a small article linking posture to back pain. It was very brief, with almost no detail, but after I read it I thought, 'Hey, this something I haven’t tried!' 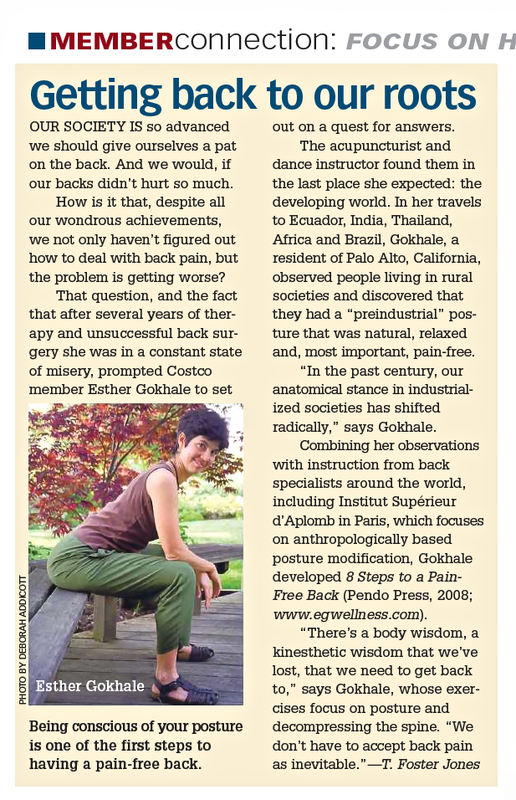 Of course I was more than a little skeptical that the approach developed by Esther Gokhale, with its focus on posture, could have a significant effect on my back pain, but I was determined to check it out. So I gave Esther's office a call and signed up for a 1-hour free session." "Later, when I got to know Esther, I asked, 'Was Costco selling your book?' It wasn’t. The story just kind of appeared, and the fact that I would find it -- and jump on it -- was just incredibly serendipitous." What's posture going to do for me? "By the time I met Esther I was walking with a cane and getting through the day on a heavy-duty dose of Vicodin; I was not in good shape. So when my wife and I attended the one-hour introductory session, my mindset was: 'This is kind of weird. What's posture going to do for me?' But when the session concluded and a man in the back of the room stood up and said, 'I just have to tell you something, Esther. I’m a neurosurgeon, and you’ve done more for a number of my patients than I could ever do with surgery,' I thought, 'Bingo, this is what I needed to hear.' "On the spot I signed up for the Gokhale Method Foundations course, opting for six private sessions with Esther. And I bought a copy of her book, 8 Steps to a Pain-Free Back. The amazing thing—and even I have trouble believing this--was that I literally could feel a positive change after each session. At our first meeting, I learned how to sit. Now that may seem like a very simple thing to do. (I know I certainly thought it was, because I’d been sitting for a lot of years and it never occurred to me that I should be doing this any differently.) But it soon became apparent that I had a lot to learn, and that I was going to have to do some serious reprogramming of old habits. And for six weeks I worked really hard, learning and practicing Esther's techniques. "As I progressed through the six classes, Esther helped me understand the big picture of her program. One of the nice aspects of the Gokhale Method, I should add, is that it’s not something you need to go back and re-enroll in every month--or even every six months (although for a while, I greatly benefited from quarterly 'tune-ups'). Instead, you learn techniques that you can easily practice in the course of your daily life." "I finished the course in 2008, so it’s been five years. And at age 75 I’m enjoying life and doing everything I want to do. One thing I hugely enjoy is being out and about with my camera, finding things to photograph, and--since working with Esther--I’ve done wonderfully well when I travel. My wife and I are just back from China; last year we hiked around Machu Picchu and the Galapagos; the year before we explored southern Africa--and next year I'm returning to Africa. We’ve seen so many amazing things and I’m grateful to the Gokhale Method for helping me regain the mobility I need to do all this--I'm grateful to Esther and her method for enabling me to (quite literally) reclaim my life. "Freedom from back pain means freedom to travel. 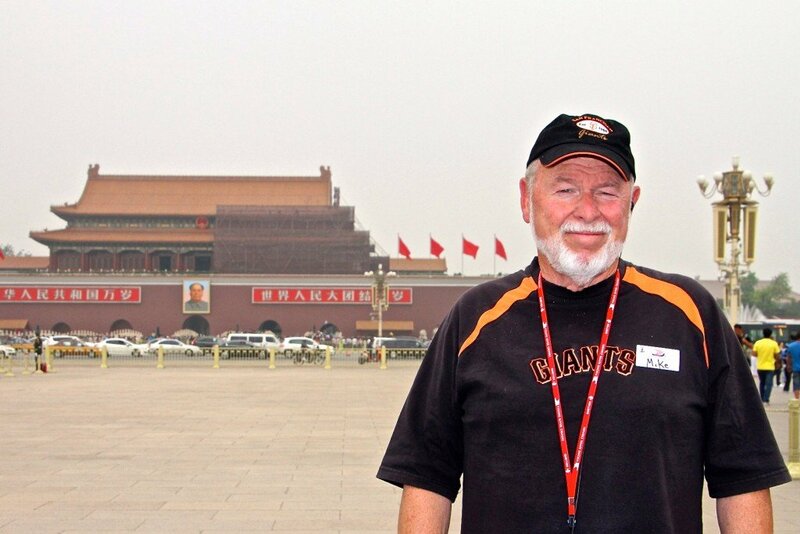 Here I am in Tiananmen Square." 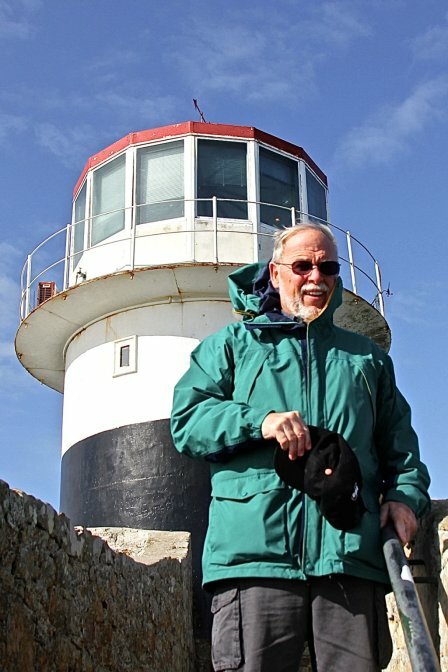 "I feel lucky to have visited the Cape of Good Hope and lucky to feel well enough to explore more of Africa next year." Testimonials really can resonate the message to others in shares experiences and language. Each time I read about another's life changing moment with Gokhale I send a silent "thanks" to Esther.